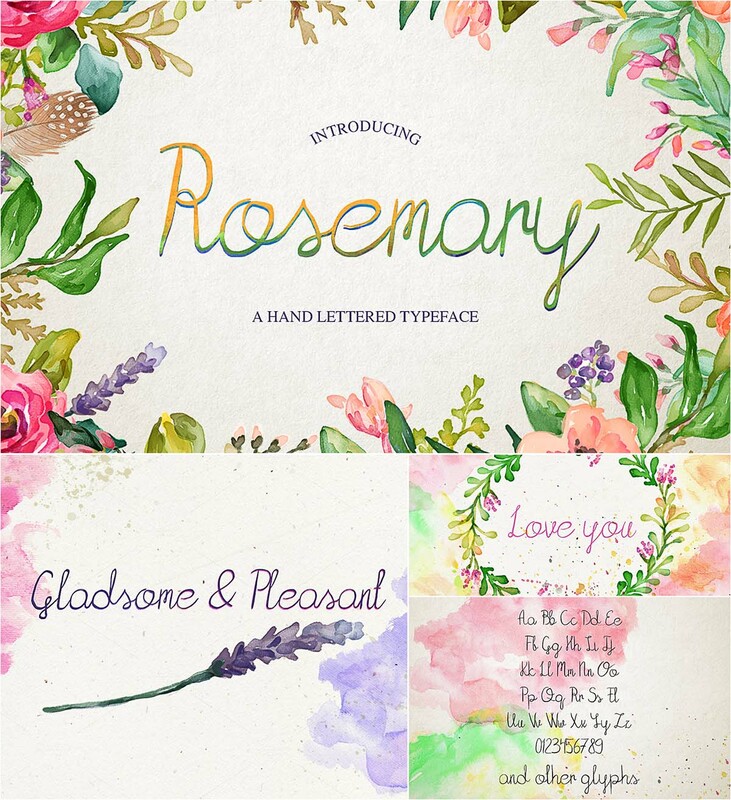 Introducing new fully handwritten and simle typeface- rosemary. 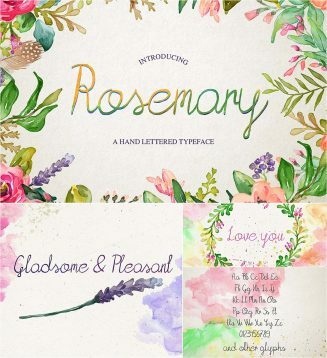 Perfect for invitations, logotypes and prints. File format: .otf, .woff for Photoshop or other software. Tags: calligraphy, hand lettered, handwriting, ink, invitation, typography, watercolor, wedding.